The TBS consumer news variety show Gatchiri Academy is usually pretty thorough about its advice, since it features a panel of economists and financial journalists whose opinions vary widely from one to the other. However, the other night, during a segment about resort condominiums, the information provided was maddeningly incomplete. As described here and here on this blog, resort condos are pretty cheap owing to the simple fact that too many were built and demand isn’t so hot any more. Gatchiri visited several vacation areas, including the Izu Peninsula and the Naeba ski resort in Niigata. The whole point of the segment was to jolt the audience with prices too low to believe. Actually, what was difficult to believe was that people paid so much for these cubbyholes when they were built twenty years ago. In one segment, a talent-reporter, in the company of a local real estate agent, inspected a 60-square meter condo in Izu that originally sold for about ¥25 million, and her jaw dropped when the realtor revealed how it now goes for less than 10. Mandibles literally hit the floor in Naeba, however: one and two-room condos for as low as ¥500,000?! Where do I sign? That was the general vibe, anyway. What was infuriating was that nobody mentioned the real reason why these places were such bargains. For a split second, each property’s particulars were flashed on the screen, and these particulars may have included the yearly property tax fee you’d have to pay. But I didn’t see or hear any mention of the maintenance (kanri) or common repair (shuzen) fees that a resort condo owner has to pay every month. So when one of the financial writers commented that at such low prices it didn’t really matter whether or not the property continued losing value (which is most certainly would), he was, purposely or not, deceiving viewers who might be considering dropping a mill or two for a nice getaway. 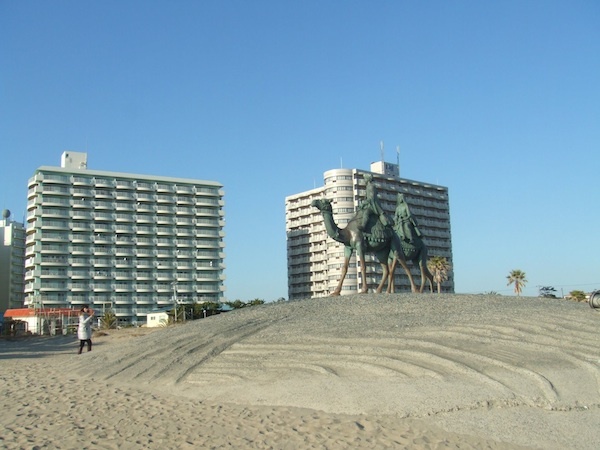 Maintenance fees normally run between ¥10,000 and ¥50,000 a month, and repair fees about half that, so the cost of keeping a resort condo could conceivably end up outstripping the value of the property after a few years. That’s fine if you plan to use it often, but the main reason these places are so cheap is that the majority of people don’t have that much free time, something that they realize too late. The financial writer also hinted that, with prices this low, you could just abandon the property without much trouble; but that’s a lie. You still have to pay the fees and the taxes, forever. Go here to get a better idea of what’s available. I remember the one time I drove that road heading to the Japan Sea coast. I remarked at the time about all the high rises next to the ski “slopes”. None of my Japanese co-workers were skiers and so knew nothing about the resort. Years later I learn that most of the places are like the “rabbit hutches” of yore and rather poorly appointed. Though there is probably no market from them even as beso at that price (similar to all the detach cottages built a Huis Ten Bosch), if they would allow people to combine unit . . .